As we wrap up National Nutrition Month, we’d like to recognize the finalists and winners of our 2019 Placemat & Slogan Contest! 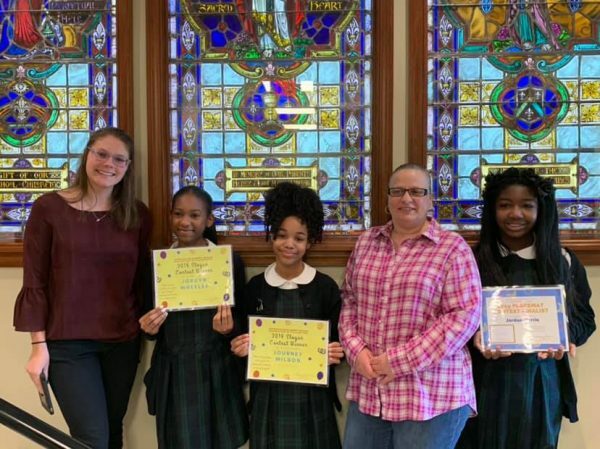 Students from NDS-sponsored schools were invited to submit original artwork that encourages healthy eating and physical activity and/or promotes School Lunch or Breakfast. Three finalists from each grade category (K-2nd, 3rd-6th, & 7th– 12th) advanced to the voting phase in which voters chose their favorite placemat by ‘liking’ the placemat the NDS Facebook page: https://www.facebook.com/NdsSchoolLunchProgram/. Congratulations and thank you to all students who submitted such creative designs and slogans!